promptly. The project was started a day early and the crew worked hard to make everything just right. They suggested a way to do the walkway and it turned out beautiful. I have absolutely no complaints. 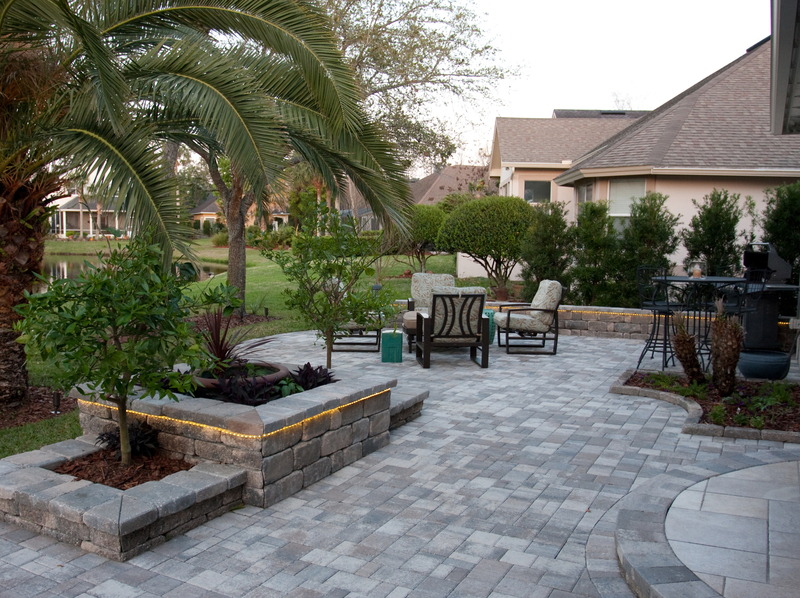 This is an awesome contractor and the price was VERY good -- at least 30% cheaper than other paver contractors. And they don't subcontract the work; they have their own team and their own equipment. They completely removed my 2 cement driveways, installed 2 new paver driveways, put up a retainer wall, and were done in 3 days. They are honest, reliable, hard working people and are extremely nice. My driveways look beautiful! One of my neighbors was so impressed because they showed up at 8 AM every day! Another was so impressed that she hired them and they just finished her driveway and sidewalk, and she is absolutely thrilled with the final product. I initially wanted to just pour cement, but pavers for the same price??? Can't beat it. Best contractor I've ever used!!! Looks beautiful. The contractor was very professional and knowledgeable. They had great suggestions for the paver design of the long driveway and parking area. They were friendly, hard working and reliable. The contractor did an excellent job of communicating with me and keeping me informed of how the project was progressing. The completed project is beautiful.